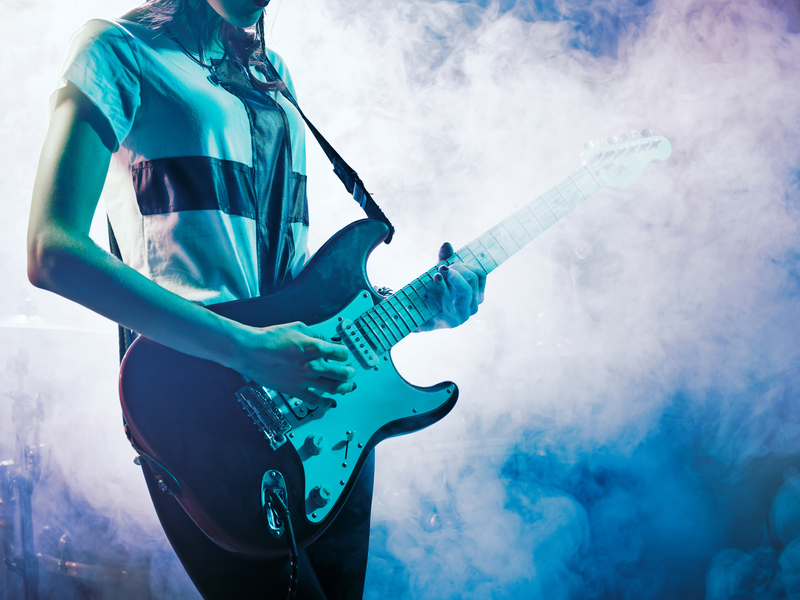 Elevate your church’s congregation with these electric guitars that are well-suited for Christian music. Worship music seeks to inspire and encourage reflection. But while there is no such thing as a best ‘praise and worship’ sound, there are guitars that are better suited to any church’s approach to singspiration. Today’s Christian music, like the songs of Bethel Music, Planetshakers and, of course, Hillsong, feature far more complex and nuanced sounds. You’ll hear light, atmospheric lines and jangly strumming alongside celebratory, overdriven tones. Which means to say picking the best worship guitar isn’t a straightforward task. So in our list of electric guitars we’d recommend for worship music, we’ve focused on these three qualities: they have to look the part, possess sparkling yet quiet cleans, and are versatile enough to go from lighter tones to punchier ones. We picked guitars from a range of price points, too, from budget buys to top-of-the-line stunners. Alternatively, check out our picks of cheap, beginner, and intermediate guitars, as well as the best axes $200 and $500 can buy. This list wouldn’t be complete without a Strat – so we’ll start with one right off the bat. This golden-era beauty, from Fender’s new flagship series, gives players the best of both worlds: vintage voicing and modern-day playability. Think of the American Original 50s Stratocaster as a ‘best-of’ compilation of Strats from the decade – and it even matches up to Custom Shop guitars in terms of tone and playability. Period-accurate hardware, neck shape and electronics will allay the purists. Central to these traditional specs are the pickups. Three Pure Vintage ’59 single-coils grace the guitar, providing the pure, crystal-clear and shimmering tones we hear in our heads when we think of a Strat. There’s a tone knob dedicated to bridge and middle pickups, so dial it back for smoother leads without ‘scratchy’ trebles. The neck is a delight to play, too. The soft V profile subtly morphs into a C further up the neck, with rounded shoulders and rolled fretboard edges for added comfort. A 9.5-inch-radius maple fingerboard and vintage-tall frets make bending notes and playing in the higher registers that much more pleasant, too. Another highlight of this axe is its price. At $1,900, it may seem like a lot – especially when an American Professional model clocks in at $450 less. But for the construction, pickups and genuine vintage vibe that the American Original 50s has in spades, it’ll serve you on the church stage well. Admired among guitar geeks for its impeccable clean tone, the Veritas Portlander is often regarded as the holy grail of worship guitars. Blending features from Telecasters, Stratocasters and Les Pauls, this guitar is built on vintage craftsmanship with modern sensibilities. The best part about the Veritas Portlander, however, is its customisability: pickups, neck profile, inlays and much more are up to you. As Veritas’ flagship model, the Portlander is the realisation of luthier Casey Marvin’s vision for a guitar that derives tone from its neck. He believes in building a solid neck in order to force energy into the guitar’s body, allowing for better resonance and letting it do what it’s meant to do: augment the pickups. The pups themselves are a cut above in producing phenomenal ambient soundscapes. One option, fittingly dubbed “The Pope”, is a humbucker-style pickup that produces the clarity of a single-coil with the desired noise-cancelling benefits of a humbucker. The pickup is also wound to handle pedals incredibly well, and it responds to dynamics like a dream – two features that are key to the worship guitarist’s demands. And then there’s the 12-inch fingerboard radius that provides optimal comfort for smooth note-bending action. The Kluson tuning machines are an added bonus when it comes to ensuring that the guitar rarely strays out of tune. Worship industry heavyweights such as Michael Pope and Jeffrey Kunde have been spotted with the Veritas Portlander in tow – a fitting testament to one of the best worship guitars in ambient and heavy worship song settings. If aesthetics are important to you, few guitars can compare to Gretsch’s legendary White Falcon. It’s a commanding instrument that, dipped in a beautiful Gold Sparkle binding and available in two stark finishes, brings the beauty of hollow-bodied sounds to the church stage. Revered for its bold and transparent clean tones, the White Falcon is a guaranteed show-stopper. Here’s a guitar that’s bang-on-the-money when it comes to both expressive plucked patterns and big chord progressions. But what gets the White Falcon on the list of “best worship guitars” is the unrivalled snap, clarity and definition of its clean tone. Those come from the instrument’s clever pairing of maple neck and laminated maple body, as well as the Filter’Tron pickups that balance the natural hollow-body tone with sparkling clean highs and mids. The source of the White Falcon’s ‘open’ sound comes from its no-load tone pots. Simply put, these allow for a robust signal with high-end clarity while preventing signal loss via the lengthy 15-feet cables typically used on stage. Impressively, the White Falcon’s reduced 2.25-inch body depth does not chip away at the iconic Gretsch ‘chime’. Compact and light, the axe is also less prone to feedback issues as compared to traditional full-sized archtops. Running this elegant workhorse through a simple reverb and gain channel will enable you to attain the haunting melodies so sought after in the worship repertoire. You can’t go wrong with a Suhr. The Classic T is a spin on Fender’s legendary Telecaster and takes the signature Tele tone to new heights with its custom pickups. This guitar’s mix of warmth and twang is a perfect fit for most worship repertoires. Single-coils are notoriously noisy, but the 2018 Classic T’s SSCSII hum-cancelling system alleviates that problem. In terms of sound, you still get that characteristic Tele tone, but it may be a tad hotter than what you’re accustomed to. The pickups do, however, sound particularly good with some overdrive in the mix. Controls on the 2018 Classic T come as no surprise: master tone and volume knobs, and a three-way pup selector are all you need to sculpt your Tele sound. In terms of hardware, Suhr has gone with a Wilkinson three-saddle bridge, renowned for its superior intonation – especially useful for maintaining the pitch accuracy of common church chords, like add2 and sus4, on the upper frets. Elsewhere, proprietary Suhr locking tuners facilitate easy string changes and provide tuning stability so that there’s little chance of your sound being compromised midway through a worship session. Apart from its tempting features, the Classic T is housed in four stunning boutique finishes: Two-tone Tobacco Burst, Trans Butterscotch, Trans White and Vintage Natural. German workmanship at its finest: the Duesenberg Starplayer TV is one of the most revered specimens in the semi-hollow archtop category. Beyond its stunning array of finishes, the Starplayer has set the industry standard for cutting leads and heavy riffs. It’s of little surprise that this guitar has found a common dwelling in the hands of many worship guitarists, including Hillsong Church’s prodigious music director, Nigel Hendroff. As far as semi-hollow sounds go, you’d be hard-pressed to find a guitar that ‘opens’ up as consistently and cleanly as the Starplayer. Its tonal spectrum sits comfortably between the ranges of a Les Paul and Strat. By pairing a GrandVintage PAF-style humbucker and a Domino P-90, this guitar hits the sweet spot for saturated chords and creamy licks. A three-way selector caters to the sculpting of vintage clean tones. Think of a 50s Fender Stratocaster isolated at its second position – the neck position of the Starplayer takes this twang to new heights when the volume knob is cranked up. Meanwhile, the PAF humbucker at the bridge carries the punch of rock ’n’ roll, and the middle position is perfect for a well-rounded blues or jazz tone. The middle position also features special wiring that splits specific low-end frequencies out of the humbucker signal. Finally, there’s the Starplayer’s superb playability. The carefully Plek’ed fretboards are finished by hand to ensure that gliding across it feels effortless. The optional Deluxe Tremola system also deserves special mention here: It’s a lightweight tremolo system that can be turned a full 360 degrees to give your ambient swells an unparalleled responsiveness. Whether its gospel, hymns or reverential ballads, the Starplayer absolutely knocks it out of the park – it’s well on its way to be regarded as the best worship guitar on the market. We’ll admit it. We thought of this one simply because of the brand’s apt name. But there’s plenty here that worship guitarists will find useful, especially if you serve a youth ministry whose leaders tend to pick heavier songs. The Reverend Double Agent OG is an elegant –and affordable – work of art whose ‘rockier’ tones can still be dialled back thanks to a few smart features. Giving the Double Agent its moniker is a rare combination of a bridge humbucker and a neck P-90, both designed by Reverend. The humbucker offers a surprisingly sweet tone, while the old-school P-90 has a throatier bark that, when mildly overdriven, is ideal for celebratory, fast-paced worship music. And you can combine both via a three-way switch for a unique Tele-meets-Les Paul deal. That said, you shouldn’t expect the clean ‘spank’ of a Telecaster or the raw muscle of a dual-humbucker axe. The Double Agent is far subtler than that. Its korina body grants it a lively, resonant character, and a treble-bleed circuit ensures your tone won’t go all dark when you roll back the volume. And then there’s the Bass Contour knob. Simply put, this diminutive feature lets you re-voice the pickups. You can tweak the humbucker to yield a single-coil shimmer and the P-90 for a twangier bite, for instance. Apart from the features, the South Korea-made Double Agent is an impeccably constructed guitar. It has many details more becoming of a boutique instrument double its price, like a roasted maple neck, pin-lock tuners, an angled neck heel and several high-quality electronic components. Telecasters are often the first thing that comes to mind for worship music, and for good reason: their inoffensive looks and sterling tones fit the bill perfectly. The Deluxe Tele Thinline takes the signature Tele tone, but plonks it on a semi-hollow body instead. The result’s a great worship guitar that sounds ‘fuller’ and more ‘open’ than a vintage-spec’ed Tele. While hollow electrics can be noisier and difficult to rein in, the alder-bodied Deluxe Tele Thinline manages to evade those problems. It’s largely due to the pair of Fender Vintage Noiseless stacked alnico II single-coils, which produce the pristine ‘chime’ for which the brand is known – minus the hum. 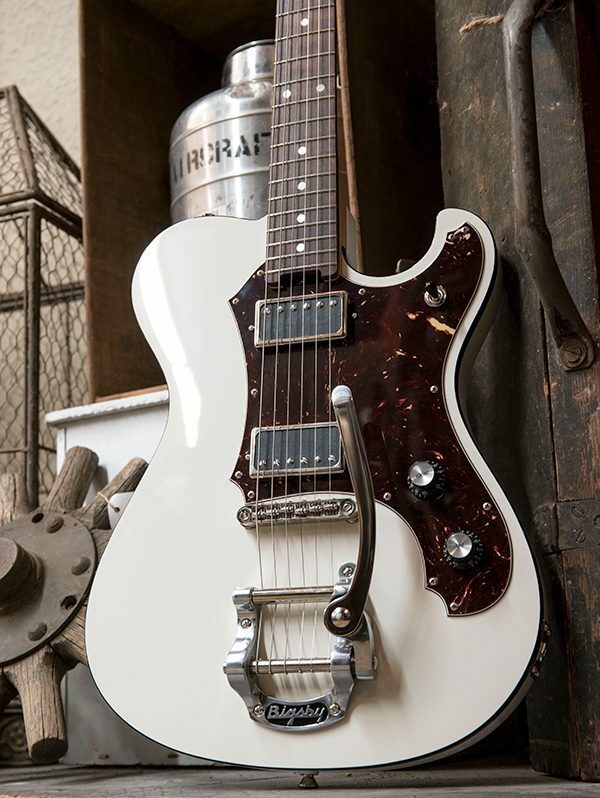 Paired with the Tele-style single-coils, the guitar’s semi-hollow construction takes it slightly out of country territory and into lusher, rounder zones. And the Deluxe has a not-so-secret weapon that makes it a competent choice for both rhythm and lead players in a church band. Those pickups can be engaged in series, via a four-way switch. You’ll get a warmer, hotter output to deploy on solos and heavier worship songs – but you can still keep the pups in parallel for a brighter and quieter jangle. The Epiphone Dot is adored for its performance in the jazz, blues, rock and indie genres. Which, frankly, are comparable to the Christian music your church band probably plays, tone-wise at least. The affordable semi-hollow covers the range of cleaner moods in more intimate songs, yet is still able to provide the energy required to stir the congregation. Simply put, the Dot is a budget Gibson ES-335. And like its pricier brother, this one has a laminated maple body and top, a mahogany neck, and a centre block running within an otherwise hollow body to lower feedback – useful if you’re playing with a fair bit of dirt. Otherwise, the Dot’s sweetness and resonance will prove irresistible to clean rhythm players. The Dot uses a pair of Epiphone Alnico Classic humbuckers. While these are a step down from the ‘singing’ Burstbuckers of the ES-335, they’re still ace for the price, providing enough punch and power to fill the hall. Here’s a guitar that will handle pretty much any worship tune you throw at it, with the added bonus of its classic good looks. And lest we all forget, the Dot clocks in at about an eighth of the price of a new 335. The PRS S2 Standard 24 Satin is for the guitarist who wants one instrument to balance his worship commitments and gigging elsewhere. Its matte finish doesn’t cry for attention in the middle of a worship set, while still looking fire for when you’re shredding with your rock band. And, like most PRS models, it’s a helluva versatile six-string. Granted, the S2 Standard 24 Satin doesn’t look like a high-end machine. It doesn’t have a glossy finish, has dull dot inlays rather than PRS’ signature birds, and there isn’t any fancy flamed maple top. None of these make it a bad guitar. It’s a solidly constructed all-mahogany (except for a rosewood fretboard) beast that produces the clarity, articulation and ‘high-definition-ness’ for which PRS is famed. And there’s something about that satin finish that’s humble and understated, yet elegant at the same time. With everything stock, this S2 Standard is one of the most versatile guitars out there today. The two 85/15 “S” humbuckers are lush while clean and thick when clipped, and have been coil-split to take you into glassier, single-coil territory, too. Coil-splitting allows for airier gossamer, ambient sounds common in worship music, in which electric guitars often contribute in subtler ways. Unlike most of the SE models, the S2 Standard 24 has a Pattern Regular neck. It’s fatter but not as wide, and most players will find it to be a happy middle between Fender and Gibson necks. The guitar’s 10-inch fretboard radius also falls in-between both those brands. Additionally, the S2 Standard 24 boasts a few high-end touches that will come in handy during a worship set. The PRS’ S2 locking tuners are great for quick restringing and keeping your strings in tune, and it comes with a moulded tremolo vibrato bridge and tailpiece for better fades and control. There’s nothing quite like a Collings guitar. Founder Bill Collings has built and purveyed some of the finest axes around, with the City Limits series representing his elevated take on the Gibson Les Paul. Crafted from the finest selection of tonewoods, the City Limits Standard takes tonal complexity and sustain to a whole new level. Put simply, if money is no object, this is the best worship guitar you can buy off the rack. Let’s kick things off with the City Limit’s unique combination of tonewoods: Eastern flame maple top and Honduran mahogany body. Both of these were carefully chosen for their acoustical responses. The maple top’s brightness is, sonically, a perfect match for the mahogany’s midrange punch and sustain. The result: lush overtones and ‘airy’ trebles. The electronics on the guitar have also been carefully considered. Packing a stock set of Lollar Standard Wind Imperial humbuckers, the City Limit clocks in at a medium output similar to vintage PAF ranges. A distinct feature in the Wind Imperials is the use of unbalanced coils. These complement the pickup’s fullness with a tight bottom end and encourages overtones to layer after every note. With this in place, melodic phrases will naturally ring, resulting in expressive voicings required of worship songs. Two other hardware inclusions keep the focus squarely on playability and expression: a set of Gotoh SG301 tuners, and a Kluson ABR-1 bridge and stop tailpiece set. With this hardy spine in place, the guitar’s tuning is always spot-on and its string tension remains evenly distributed throughout the 24-inch scale length. The incredible attention to detail that has gone into crafting the Collings City Limits makes its hefty price tag that much more justifiable. Its laundry list of premium appointments doesn’t hurt, either. If cost isn’t a factor in your considerations for a worship guitar, go out and grab one.